This post has been read 2157 times! July 7, 2014- Drones were reported spying into windows of 2 River Terrace recently (a BP.TV exclusive). 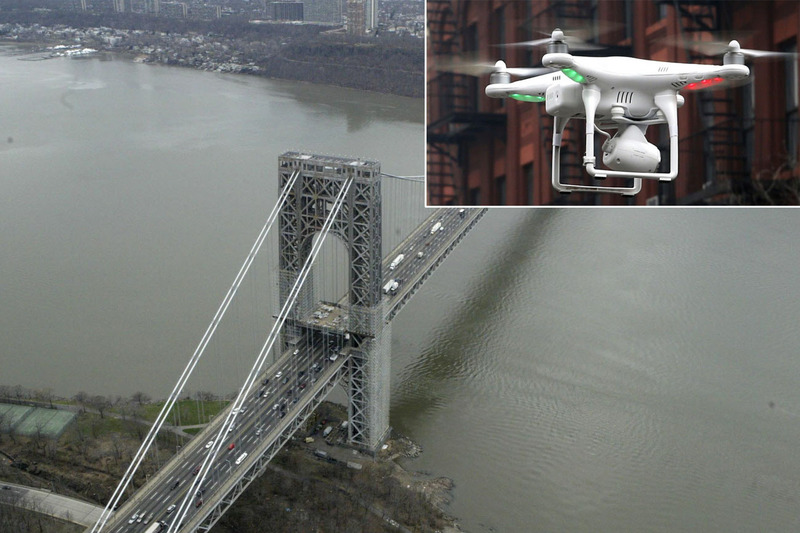 Now, the Post reports, “Two drones nearly took out an NYPD chopper high over the George Washington Bridge on Monday, and cops arrested the wayward crafts’ operators Manhattan men at the controls, law-enforcement sources told The Post. A friend, Jonathan Reyes, 27, said that Castro had just bought his drone two weeks ago and that Mendoza followed suit. They spent $500 to $700 apiece.